Researchers from Germany say that red wood ants change their behavior markedly just before an earthquake hits — a possible indication they can feel it coming. This is not the first time the predictive powers of ants have been observed. Prior to rainstorms, they’ve been seen to extend the height of their mounds, or even sprout wings and fly away. The newest evidence, about ants predicting earthquakes, was presented by Gabriele Berberich at the European Geosciences Union’s annual meeting in Vienna. 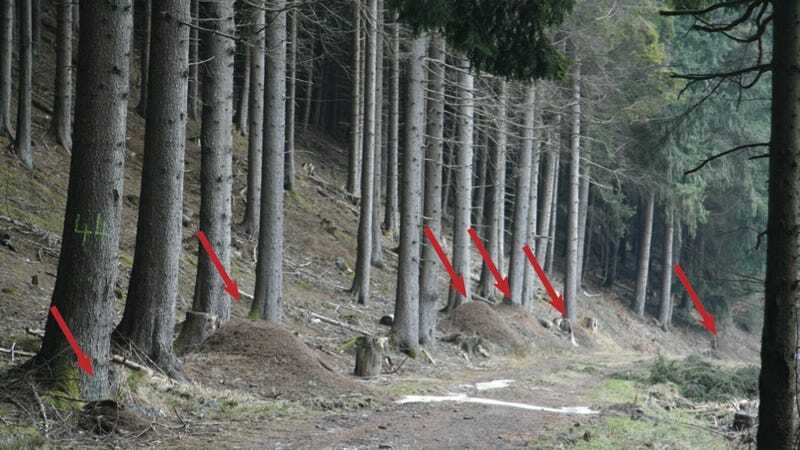 Berberich, who works at the University Duisburg-Essen, studied the behavior of over 15,000 individual red wood ants living alongside a German fault line. Over the course of three years, her team meticulously catalogued their behavior using video cameras and special software. It was over the course of this time that 10 earthquakes struck the region, ranging in magnitude from 2.0 to 3.2, including many small tremors. The ants disregarded anything below a 2.0 quake, which is also the smallest quake that humans can feel. Normally, ants are diurnal like humans; they’re up and active during the day, and they rest inside the mound at night. But before an earthquake hits, the ants get restless and they leave the mound — even at night. It’s risky behavior because they're highly vulnerable to night predators. The researchers also observed that normal ant behavior didn’t return until at least a day after the earthquake. Berberich theorizes that the ants are picking up on changing gas emissions or local shifts in the Earth’s magnetic fields. She says they have chemoreceptors for carbon dioxide gradients and magnetoreceptors for electromagnetic fields that enable them do this.